The Secretary to the Hon'ble the Political Resident A senior ranking political representative (equivalent to a Consul General) from the diplomatic corps of the Government of India or one of its subordinate provincial governments, in charge of a Political Residency. 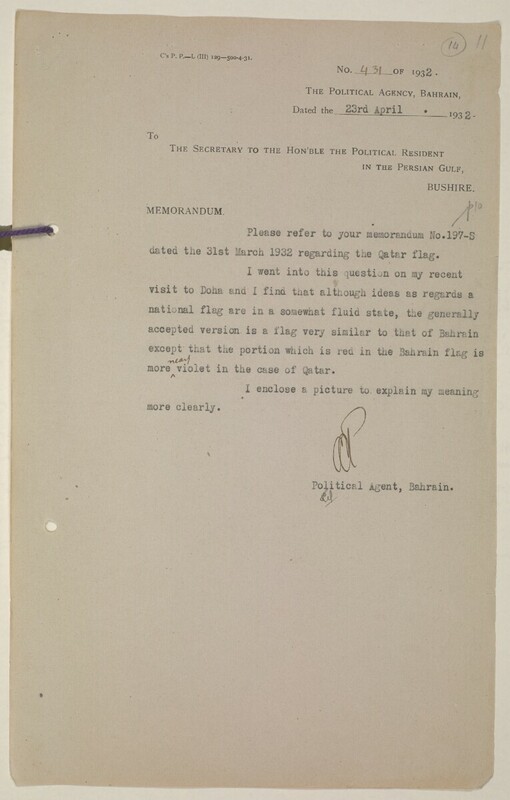 dated the 31st March, 1932 regarding the Qatar flag. more^violet in the case of Qatar.